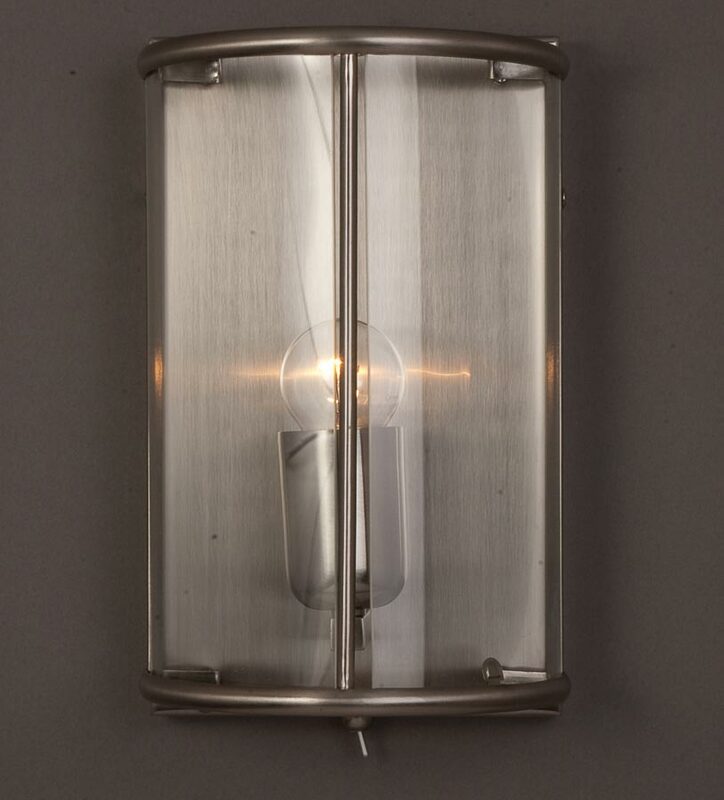 This Impex Orly 1 light half wall lantern with switch finished in satin nickel features Georgian simplicity, with flush wall bracket, curved support bars, clear glass panels and handy toggle switch fitted on the underside. The single upward facing light bulb reflects a bright light from the satin nickel plate and the simple style makes it suitable for most interiors. This is a classically styled wall lantern that complements a traditional or period style that looks wonderful on any wall. Part of the Orly range of Georgian style lanterns in satin nickel that includes two and four light hanging lanterns that can be viewed below. Impex Lighting are one of Europe’s leading manufacturers who supply a comprehensive ranges of fittings in contemporary, traditional and classic styles like the Orly 1 light half wall lantern with switch finished in satin nickel featured here.